Do You Like A Scary Story? For 90 minutes last night six people did their best to scare the daylights out of a room full of people at the Orem City Library. 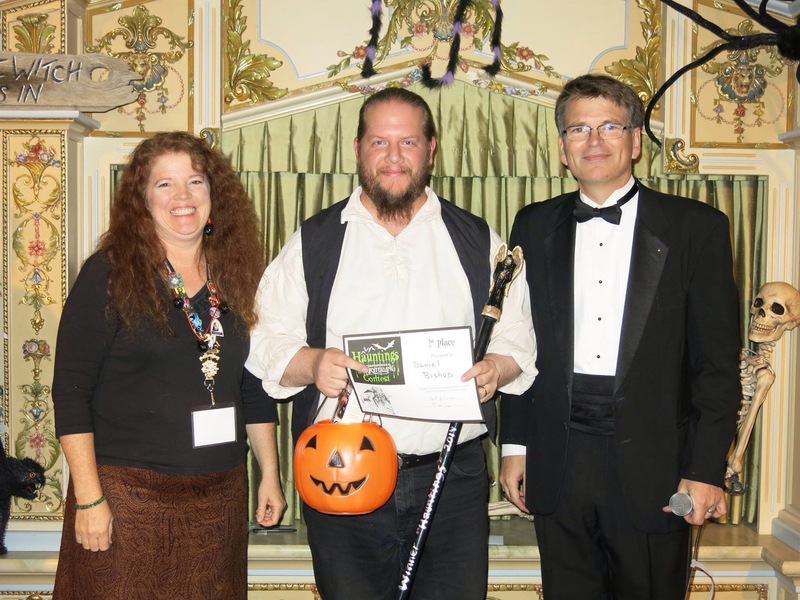 The occasion was the Timpanogos Story Telling Institute’s 2nd annual Haunting’s contest. How I ended up on the stage for most of the night is a bit of a surprise to me. What do you do for fun? I write a lot about work. This space has talked about how to be a successful leader, how to be a successful employee, how to be a successful trainer. I believe in being deliberate about your job. But, there’s more to life than work. You need to have hobbies. They will make you a more well rounded employee. They will give you a chance to step away from the stresses of work and rejuvenate. Last night was one of those times for me. I love storytelling. I’ve written here before about my involvement with Toastmasters (His Dream, My Reality.) Toastmasters can aid your career, especially if you struggle with public speaking. But, mostly I joined because I enjoy the chance to prepare and present a speech. Some of you absolutely hate the idea of getting up in front of a crowd of people. I get it. This isn’t a post that is saying that you should be like me. I am saying that you should have something outside of work that you do for you, or for you and your family, whether it’s jet skis, or jigsaw puzzles, or long walks, or travel. Make sure you are taking the occasional break from work and rejuvenating. We are almost to the end of the year. Don’t let your vacation days go to waste. Get out and have fun. You’ll enjoy work more. « Psst…Could You Give A Speech, Right Now?